This article focus to presentation on tips for Time Management Skills which is very important.We are trying to balance for lot of aspects in every day. 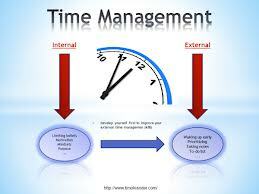 Time management skills help you in reducing stress and improving work performance. The tips of Time management skills are Start early, Schedule your tasks, Avoid procrastination, Focus and concentrate, Do not multitask, Learn to say no, Do overwork etc. This tips are help you to taking more responsibilities and working hard.